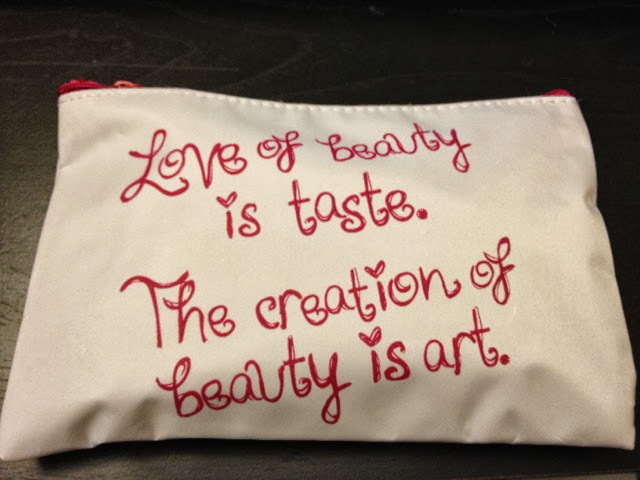 My "Beauty of Art" inspired Ipsy bag came in this week and I'm excited (again!) Getting two beauty subscription services a month is double the fun and double the trouble. I get to try new and use old favorites which is why I love getting these monthly subscription services. My Ipsy bag came a few days after my Birchbox and was pleasantly surprised to see my contents. Again, no sample packets here and came in a cute simple white makeup bag. * SexyHair's Blow Dry Volumizing Gel- this is great to get that extra oomph after you blow dry your hair. * Nourish Organic lotion- (Coconut & Argan) it's not as creamy as I usually prefer my body lotions but it's good for hands. The scent is also nice too. * Ole Henriksen- Truth serum collagen booster- is an oldie but a goodie for me! I first tried a sample from Sephora and loved it, so glad I could add it back to my routine again. 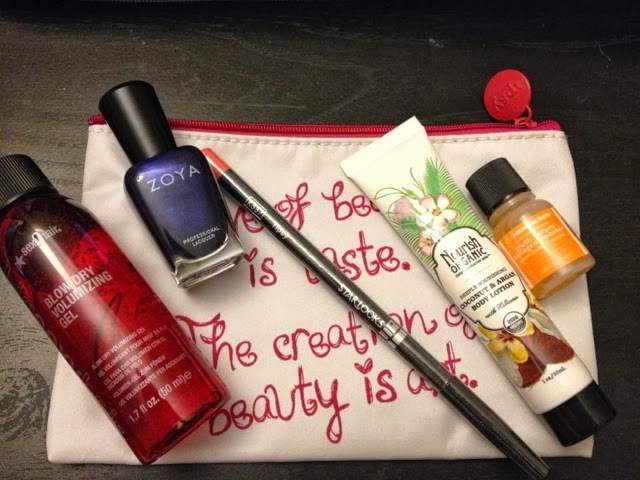 Although last month's bag was more makeup products, I'm definitely happy with the variety I got here. I'm always looking for fun colors, and skincare products to use. I'm already looking forward to getting next month's bag! Want to join Ipsy too? Join today for $10/month!